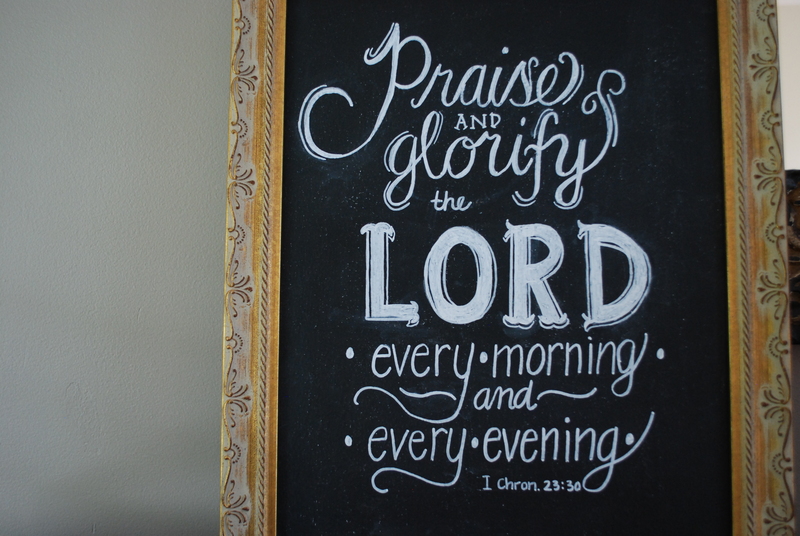 This entry was posted in Homemaking and tagged chalkboard art, diy. Bookmark the permalink. You can tell that I’m pretty much finished with the school year and now the creative juices are flowing. 🙂 With all of your artistic flair, I’m sure your result will be amazing! Here’s the chalk ink link; I think I will try a fine point next time. Also, the more you sand your board, the easier it will be to write on. Awesome job, Julie! I love that verse, too, and you captured it masterfully. Thanks, Julie! Hope you have a wonderful week!